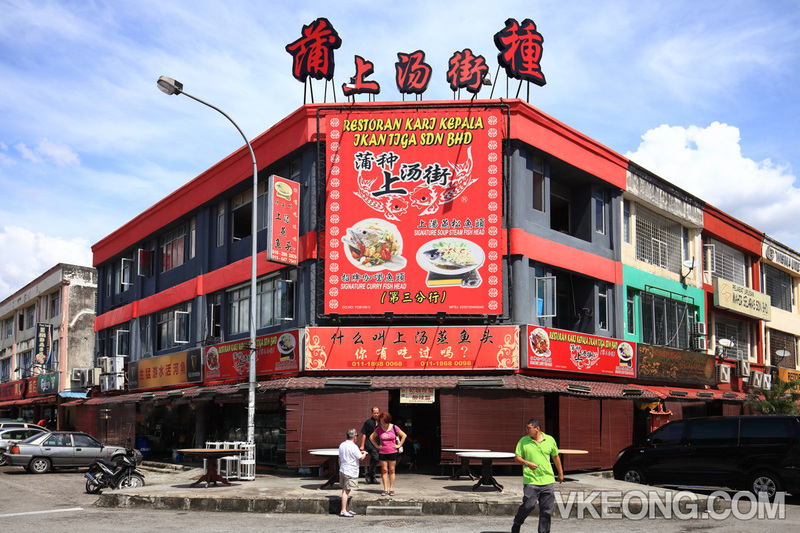 If you are in Puchong looking for something unique to try, I would recommend Restoran Kari Kepala Ikan Tiga. 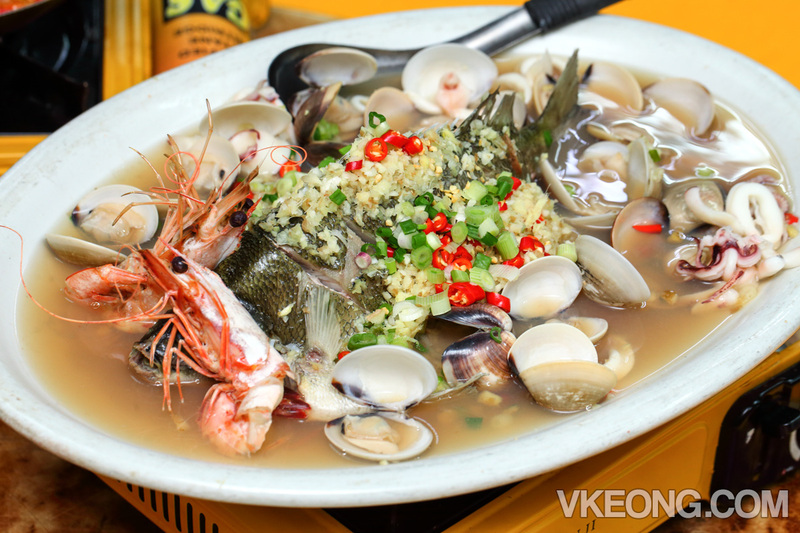 They are the creator of this steamed fish dish called Specialty Steamed Seafood King that’s also topped with sea prawns, clams and squid. 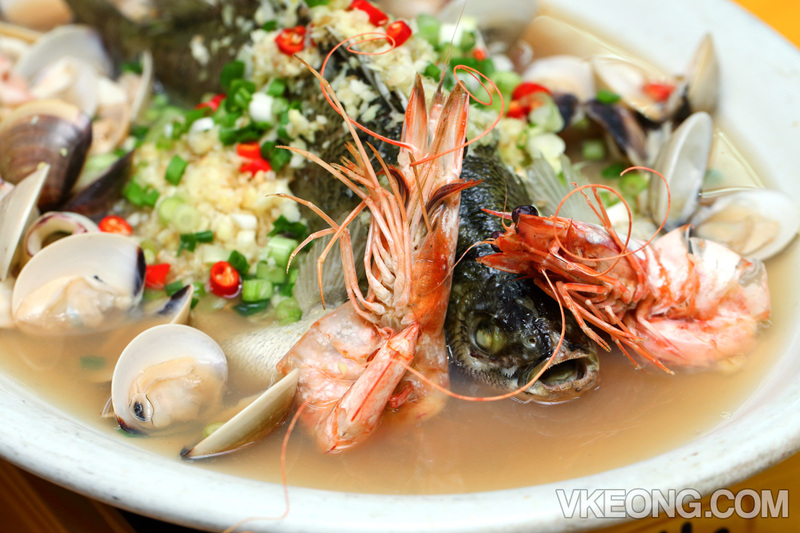 The taste is very similar to ‘Siong Tong Lala’ as they use the same fish bone soup base. 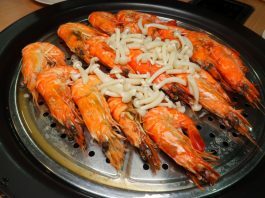 In fact, you can think of it as ‘Siong Tong Lala’ added with fish and squid. You must be wondering why the restaurant’s name is related to fish head curry when they are famous for steamed fish. 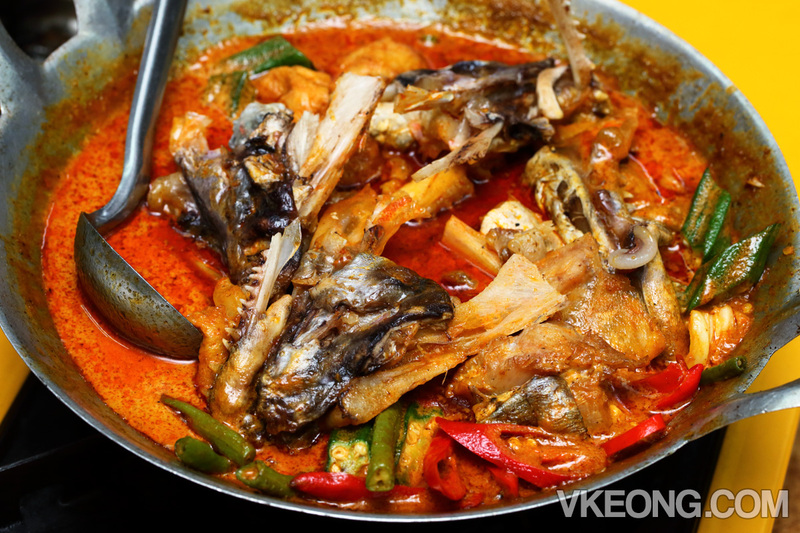 Well, the story was that the restaurant originally served fish head curry as their signature dish. But business didn’t take off, so the chef invented this dish as an alternative. 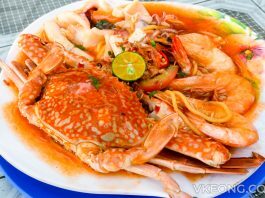 As it turned out, it was so well received by customers that it had overtaken the fish head curry as their most popular dish. If you love ‘Siong Tong Lala’ I am sure you will love this as well, though the price could be quite steep. 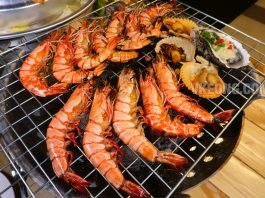 A portion for two starts at RM35 (add RM6 for every additional pax) which includes the basic ingredients such as sea prawns, clams and squid, but fish is weighed separately and will be added to the overall price accordingly. There are a dozen of fish you could choose but most people would go for fresh water fish such as Tilapia or Jade Perch (shown above) for a more economical meal. Their Fish Head Curry is prepared with dace (鲮鱼) and the price is actually reasonable considering the portion. The smallest portion is RM43 but you would still get the whole head. One thing that sets their fish head curry apart is the stronger concentration of spices in the curry which gives it a spicier flavor. 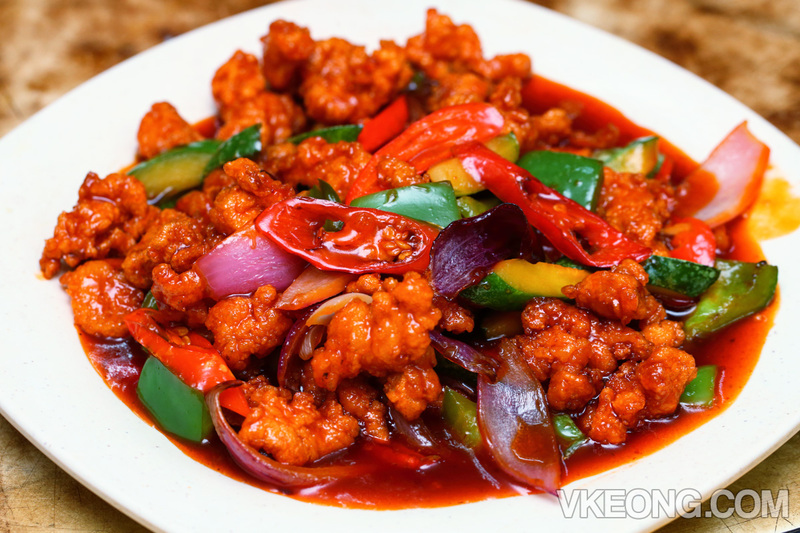 Another signature dish that is highly recommended by the head chef (Johnny) is the Sweet and Sour Pork (Gu Lou Yuk) @ RM20. According to him, this is in fact the must try dish here, and it’s actually alright if you did not order the steamed fish. Well, he’s right, as it was absolutely delicious. The meat is crunchy on the outside with a melt in your mouth texture on the inside. It’s not like those where you feel like you are chewing on jelly or a ball of fatty meat. I have to say this is one of the best Gu Lou Yuk in the whole Klang Valley. Highly recommended. 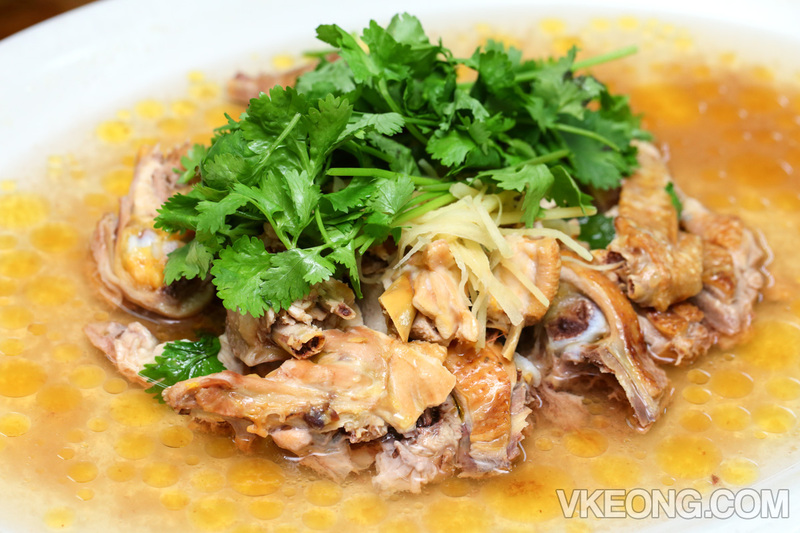 Salt Steamed Kampung Chicken (half bird @ RM43) is pretty standard stuff, no surprises there. 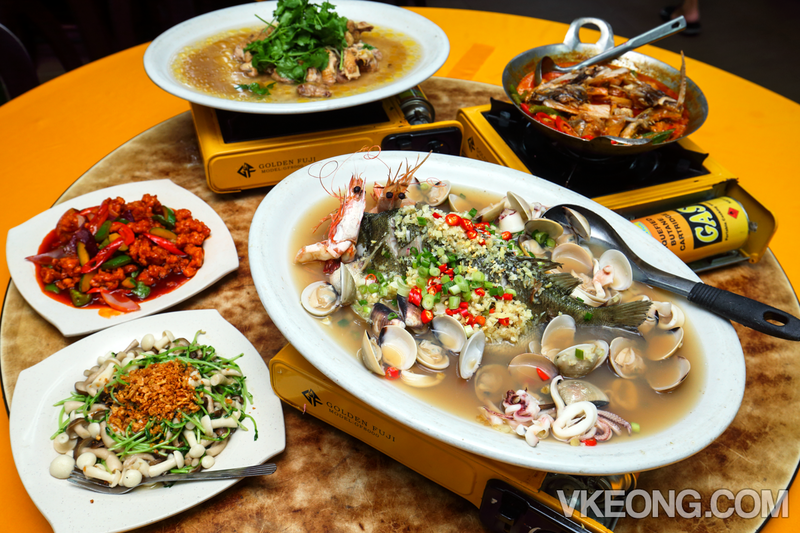 For something other than the normal stir fried vegetables, try the Three Treasures @ RM14 instead. 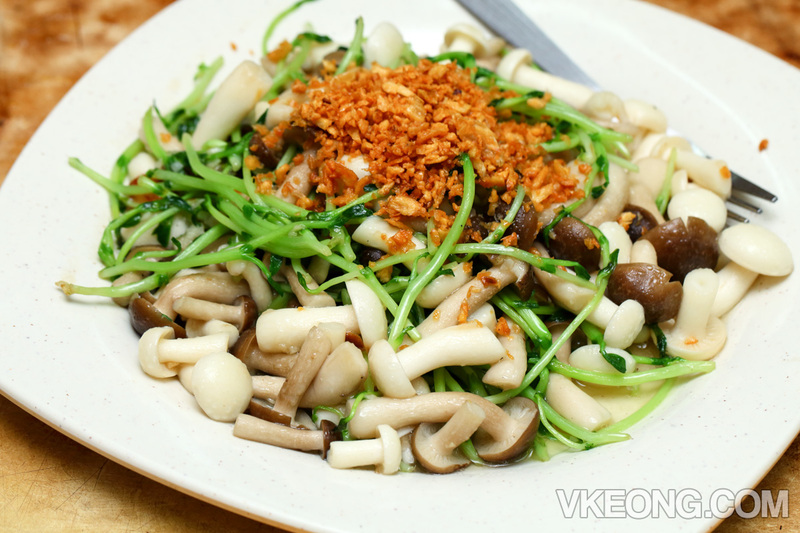 It was expertly fried to have nice ‘wok hei’ while retaining the baby bean sprouts and mushrooms’ texture and juiciness. Recently, they have opened a pork free branch in IOI Mall and are offering free food tasting on the following dates. Definitely worth checking out if you ask me.